PHOTO: Allen Ramsey, DWCPhoto.com. 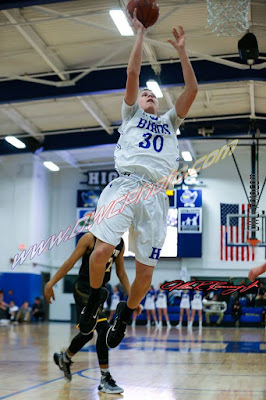 Highlands sophomore Ben Sisson (30) flies in for a score in a recent game. The Highlands Bluebirds basketball team (10-13 overall) has come a long way this season. PHOTO: Allen Ramsey, DWCPhoto.com. 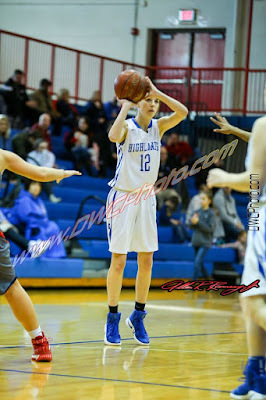 Highlands senior Lauren Epperson (10) puts up a jumper in a recent game. Epperson scored 14 points, but Highlands fell 66-50 at Madison Central on Saturday. One day later, the Highlands Ladybirds basketball team found itself on the opposite end of the exact same score. Highlands (15-7 overall) lost a road game against the Madison Central Lady Indians, 66-50 after beating St. Henry by that same score Friday in Erlanger. The Lady Indians (17-6) have won four in a row. PHOTO: Allen Ramsey, DWCPhoto.com. Highlands senior Luke LaFrange (3) puts up a shot against Bellevue on Friday. Highlands finished the regular season at 3-1 in 36th District action with a 79-61 win over the Tigers. They wanted nothing more than to lock up no less than their highest seed since the 36th District went to a seeded format for its annual postseason basketball tournament four years ago. 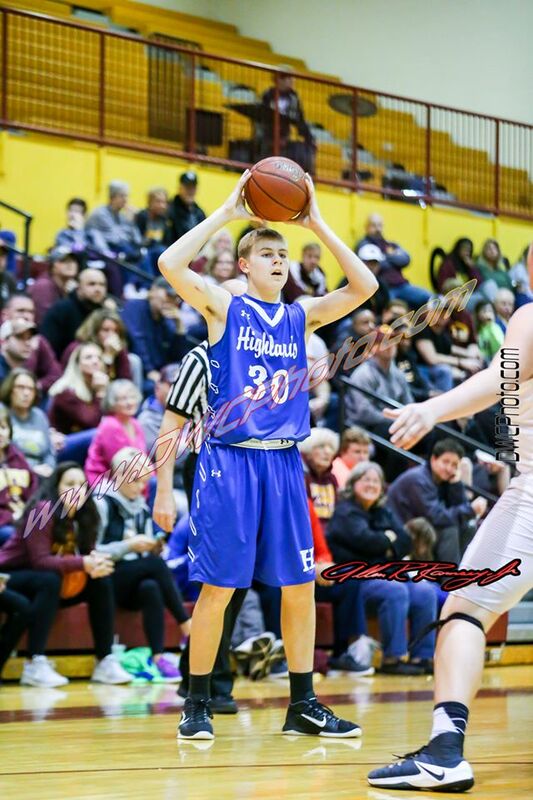 The Highlands Bluebirds basketball team (10-12 overall) took care of that goal with a huge 79-61 victory over the Bellevue Tigers (6-14) on Friday in Fort Thomas. Bellevue had beaten Highlands in each of the past two seasons to push the Bluebirds down to the fourth seed. 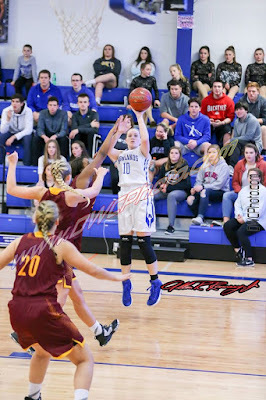 The Bluebirds finished 3-1 in district action and will be the second seed in the district tournament if Newport Central Catholic wins either of its final two district games against Bellevue and Dayton. 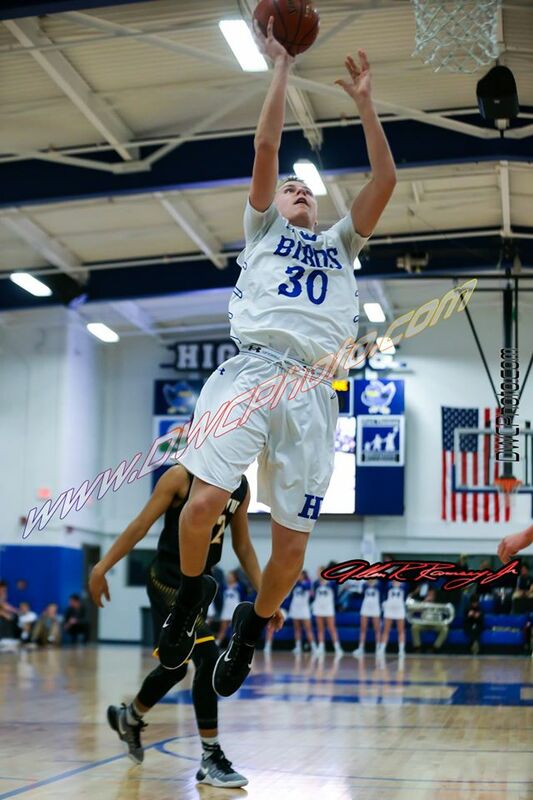 The Bluebirds also moved to 7-5 in 9th Region action and Bellevue dropped to 0-3 in district play. PHOTO: Allen Ramsey, DWCPhoto.com. 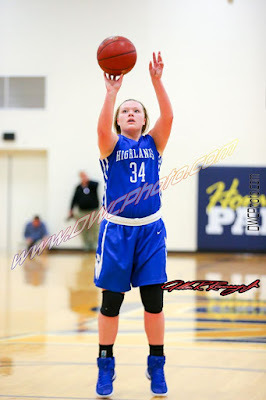 Highlands senior Emma Little (30) fires up a shot in a recent game. Little scored eight points to help the Ladybirds down Campbell County, 55-46 on Saturday. ALEXANDRIA - The visitors took the court totally aware of the gut check moment. 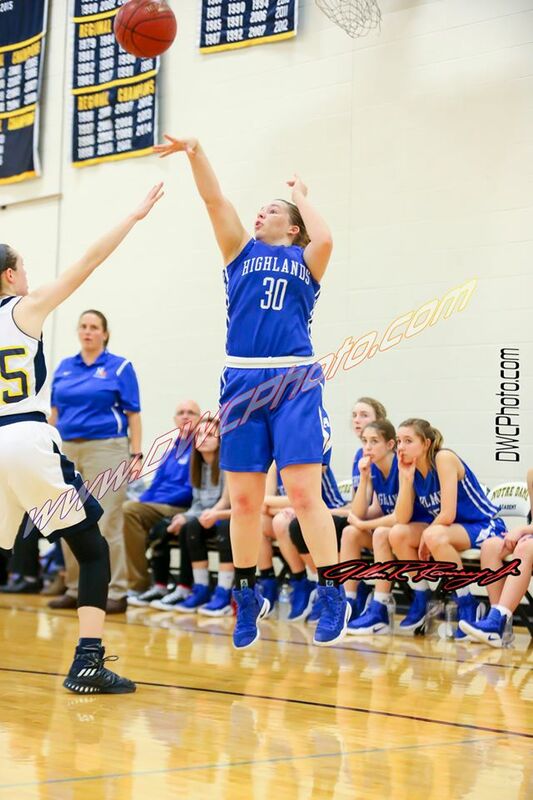 The Highlands Ladybirds came into the game at Campbell County Middle School on its first two-game losing streak of the season and wanted to put an end to it. Behind a combination of challenging defense and nice offensive execution, Highlands finished the first half on a 10-0 run and held on for a 55-46 non-region victory over the Campbell County Lady Camels on Saturday. PHOTO: Allen Ramsey, DWCPhoto.com. Highlands junior Jacob Noe (23) goes in for a score in a recent game. The Blue and White knew this week would be a tough stretch against good competition. PHOTO: Allen Ramsey, DWCPhoto.com. Highlands sophomore Zoie Barth (left) goes up for the score that put her in the 1,000-point scoring club. Barth scored 13 points in the 74-63 Highlands loss. The Highlands Ladybirds basketball team (13-6 overall) saw its two standout guards hit major feats Thursday. But Highlands could not overcome a 22-9 hole after the first quarter dropping its second straight 9th Region contest, 74-63 to the Cooper Lady Jaguars (10-4). Highlands fell to 7-2 in region action. PHOTO: Allen Ramsey, DWCPhoto.com. Highlands sophomore Chloe Jansen puts up a free throw in a recent game. 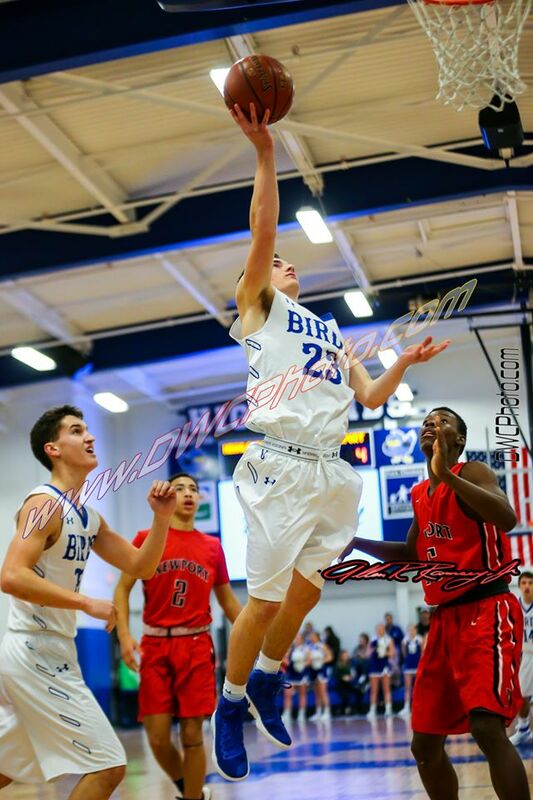 The Highlands Bluebirds basketball team started the big week Tuesday with a trip down US 27. Awaiting them in Alexandria stood the Campbell County Camels (17-1 overall) ranked eighth in the latest Associated Press poll. While the Bluebirds (9-10) have come a long way this season, the 83-60 loss to Campbell County showed them what needs to happen to battle the elite teams in the Commonwealth of Kentucky. PHOTO: Allen Ramsey, DWCPhoto.com. 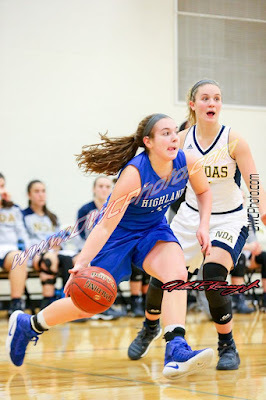 Highlands sophomore Zoie Barth drives the baseline in a recent game. 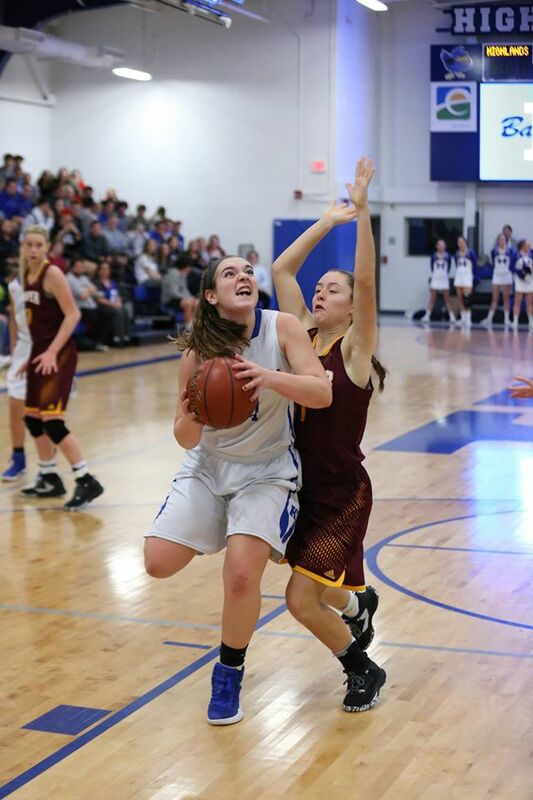 Barth scored 11 points to help the Ladybirds to a fourth straight perfect 4-0 mark in district seed play with a 75-32 win over Newport on Saturday. The Highlands Ladybirds basketball team has not lost a 36th District seed game since the district switched to that process before the 2013-14 season and the team made sure it stayed that way Saturday. PHOTO: Allen Ramsey, DWCPhoto.com. Highlands senior Jenna Martin (13) fires up a free throw in a recent game. Martin scored 16 points as the Ladybirds downed Mason County, 46-43 Thursday. Down the stretch, the Highlands Ladybirds basketball team (12-4 overall) made the crucial plays when needed to pull off the huge 46-43 non-region home win Thursday. The Mason County Lady Royals (11-3 overall) came into the game ranked 11th in the latest BluegrassPreps Top 20 poll and Highlands found itself ranked 17th. 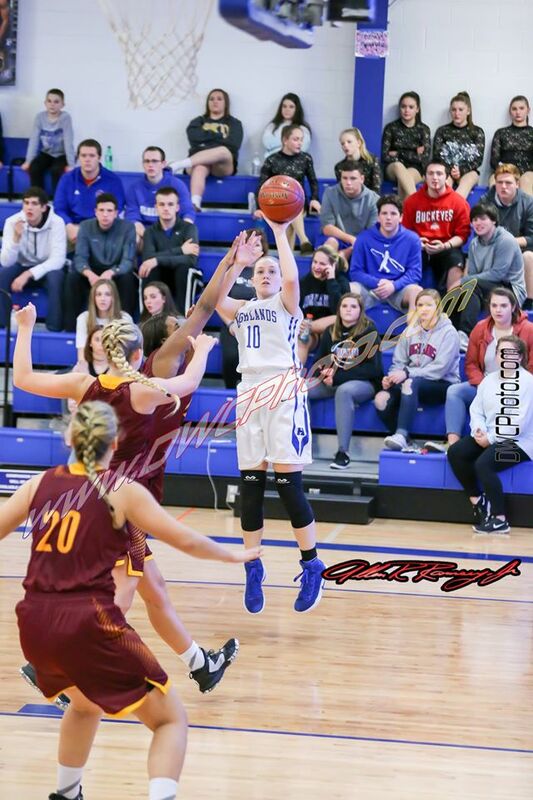 Mason County also entered the game on a 10-game winning streak and held a record of 5-1 against 9th Region opponents including a win over 12th-ranked Covington Holmes. Its two losses came to 19th-ranked Ryle and 3rd-ranked Mercer County. 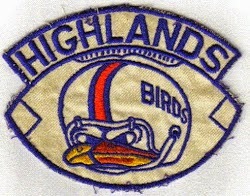 Highlands moved to 2-2 against the current Top 20. PHOTO: Allen Ramsey, DWCPhoto.com. Highlands junior Braden Posey makes a move in a recent game. Highlands downed Conner, 69-58 for its fourth win in five games Tuesday. The undersized visitors tried to spread the hosts out, create mismatches then capitalize on them. 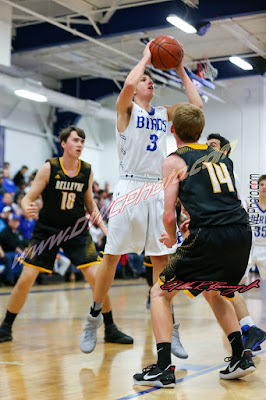 It may have worked some, but the Highlands Bluebirds (7-9 overall) countered it better with its consistent inside attack with 6-foot-5-inch senior Kyle Finfrock and created outside shots on the way to a 69-58 victory over the Conner Cougars (7-7) on Tuesday in 9th Region action. Highlands moved above .500 in region play at 4-3 overall with its second straight win and fourth in the last five games. PHOTO: Allen Ramsey, DWCPhoto.com. 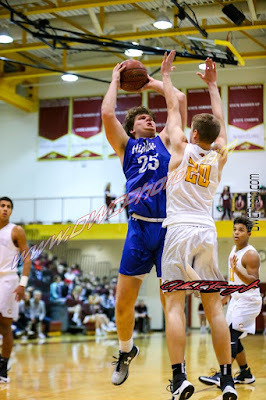 Highlands senior Kyle Finfrock (25) shoots a jumper in a recent game. Finfrock had 22 points and nine rebounds in the crucial 76-71 win over Newport on Saturday. It may not be a word mentioned as much as it deserves in sports, but the Blue and White talks about it a lot. PHOTO: Allen Ramsey, DWCPhoto.com. 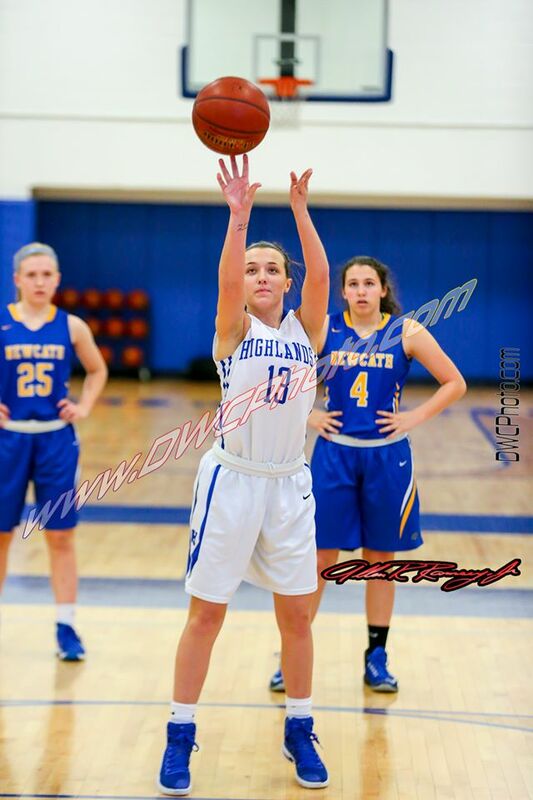 Highlands senior Taylor Baioni puts up a shot in a recent game. Baioni scored 11 points to help Highlands to its sixth win in the last seven meetings over Newport Central Catholic on Friday. The rivalry game had the makings of a tight one after the first quarter. But one huge request from the coaching staff in the huddle changed that. That was defensive stops. PHOTO: Allen Ramsey, DWCPhoto.com. 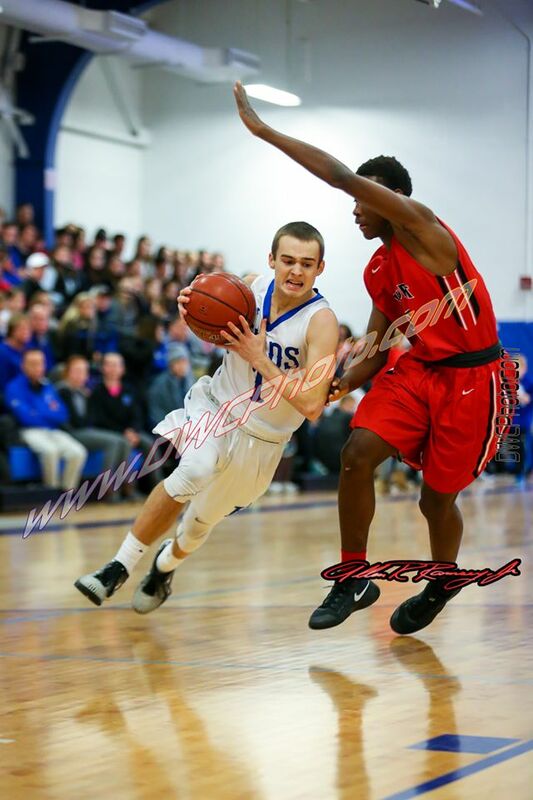 Highlands sophomore Ben Sisson (30) looks to make a pass against Cooper on Tuesday. Head Coach Kevin Listerman said the Highlands Bluebirds basketball team made progress in two wins in the Magnolia Bank Holiday Classic last week.